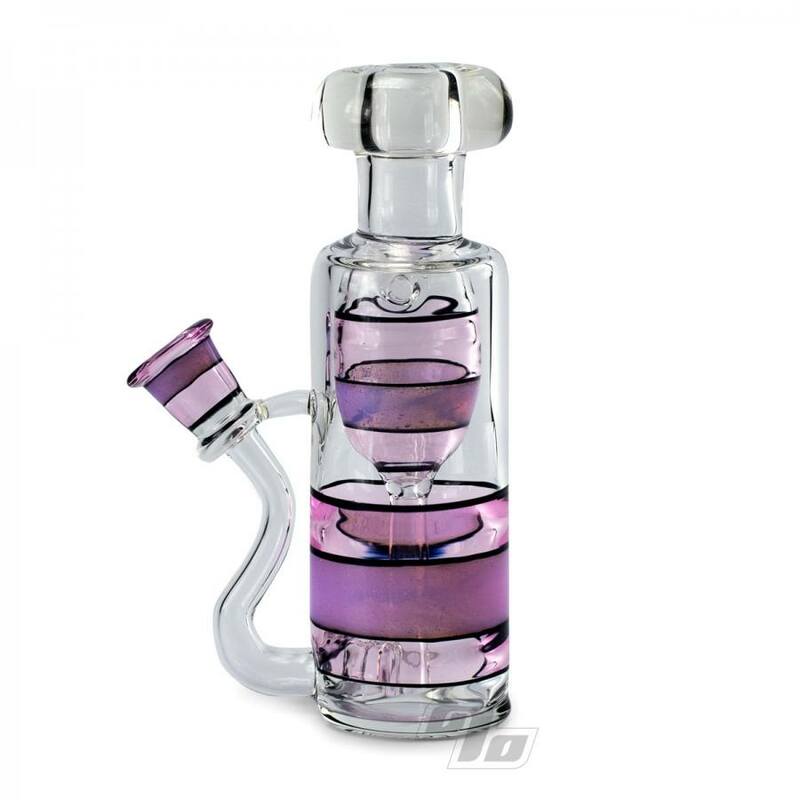 A new creation from MTP Glass, the Recycler in a Bottle! 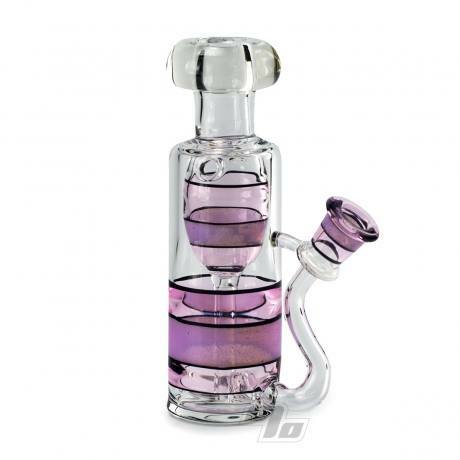 Heavy glass expertly set up with flawless recycler functionality and all contained inside a solid bottle. 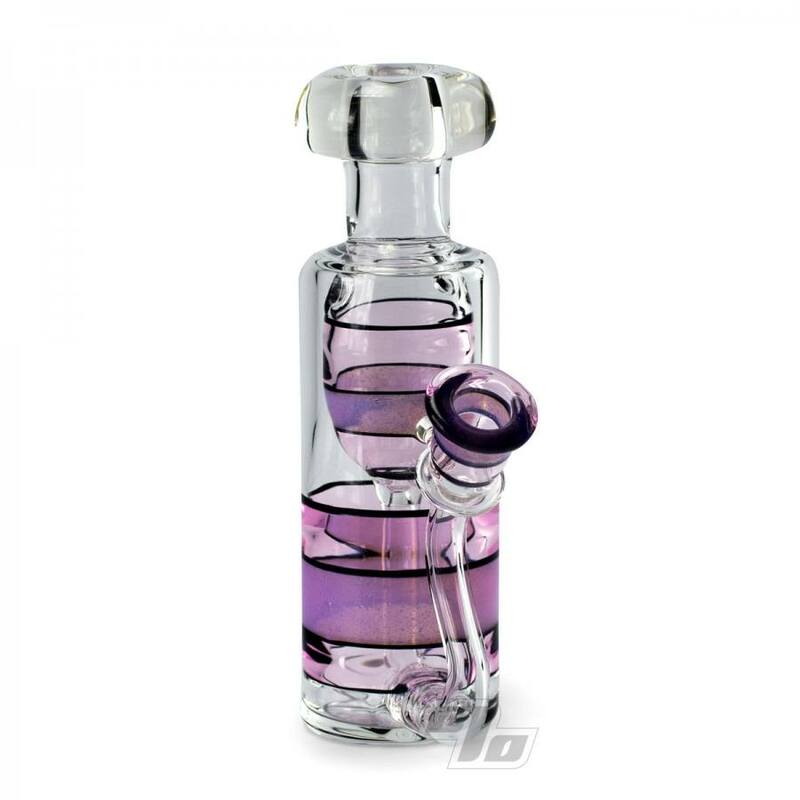 This one of a kind glass piece has a female 14mm joint just waiting for your favorite quartz banger or e-nail. Accented with Purple lilac, pink and jet black. Super functional and measures up at approx 6 inches tall 3.5 inches diameter at base. 14mm female joint (banger hanger). Recycler action for full water coverage on just about all internal surfaces. 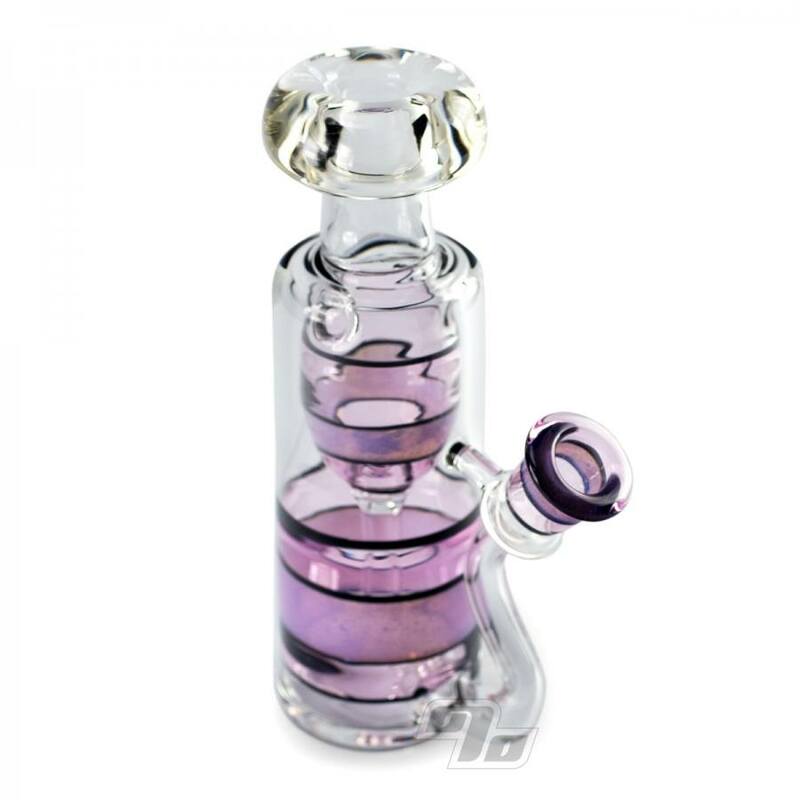 As with all MTP pieces you get plenty of bubbler action on the pull and just the right amount of resistance.